Bring your game to the next level! Premium Fantasy Mapping Objects and Dungeon Tiles for use in tabletop and virtual tabletop role-playing games. Build your own dungeon quickly and dress it as you like! 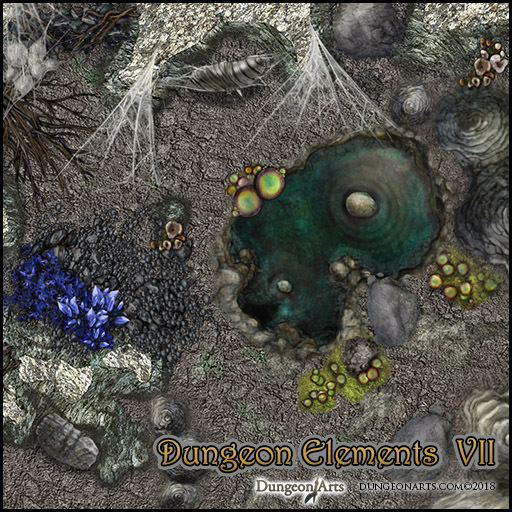 Use DungeonArts tiles and map objects in Virtual Tabletops such as Roll20, or face to face tabletop games. Build whole maps in your favorite mapping software or graphics editor. Customize the tiles and props to fit your game. All content is in editable and sizable PNG formats. Tiles are printable at 6" x 6", so they may be used on letter size paper. 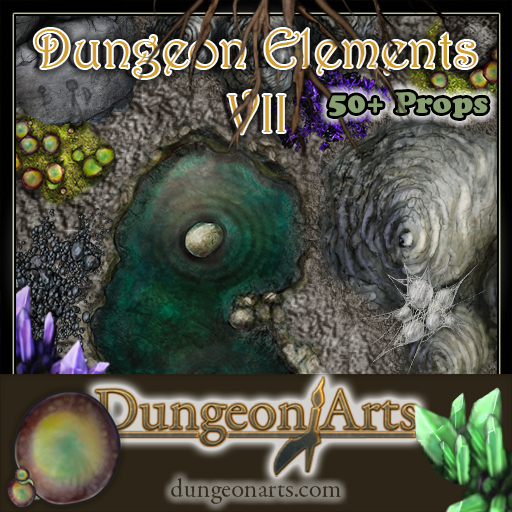 Available on our store via Paypal or on the Roll20 Marketplace. Out now on Roll20 and on the DA store! The greytale.com site has been taken offline due to wandering monsters. Licensing related to those images can be found here - Grey.